Every year around this festive winter period I throw some tasty things together, enrobe it in chocolate, and call it a truffle. It has become sort of a tradition for me, with my sister's 21st birthday being the inaugural affair. This year was particularly exciting because the Cooperative (it's a member-owned grocery chain like the name implies...for those of you not in the UK) started making their Fair Trade dark chocolate without dairy! So, I loaded up on the ethical confection, ready to melt, mix, and mold into a suite of bonbons. Sitting on the consumer end of the supply chain, we have even less information at our fingertips, and must essentially trust in a company with advertised good intentions. I might even go so far as to suggest we have insignificantly, if any, more information about a labeled product's realities than any other product off a grocery shelf. Yet, when I see that little blue and green ying-yang (especially if the price is not markedly more than uncertified...), it's as though the choice has already been made. Of course I will buy the product boasting a shiny label, the beacon of social responsibility. Why, when after over 3 decades there is still so much uncertainty about impact, do I put my precious pennies into something I don't entirely trust? In part, I think it is a resigned reaction of the "it's better than nothing" variety. We have so little information about the backstory of anything purchased in a grocery store, that it is easy to latch onto something even marginally more tangible, such as an ethical label. On the other hand, the number of different certifications and associated labels has ballooned in the past decade, and can be rather overwhelming and difficult to wade through. For most people, diving into what's behind the sticker is an additional, more difficult, time-instensive, and therefore undesirable step. Berkeley's Journalism School held a contest a few years back for a rethink, a redesign of food labels. A similar concept could apply to the ethical labeling genre. But this brings us back to issue at hand. While the US is worse than its European counterparts, overall sound regulation on what is required by food labels (and others) is sorely lacking. However, even with stronger requirements, there is still a lack of impact assessment mentioned earlier. Networks like ISEAL Alliance and the Ethical Trade Initiative are trying to drive better accountability within supply chains. As consumers, we actually have a lot of power. Ask questions in stores; write letters or emails to companies; find certifiers on social media and join their discussions! ** If you want references, I've got 'em! 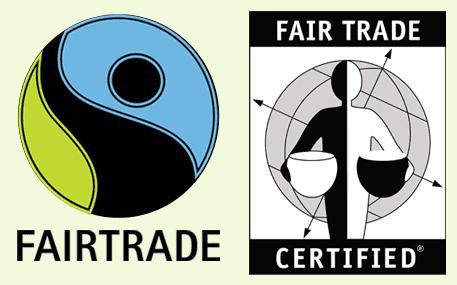 I'm writing a paper at the moment on impact assessment and consumer perceptions around Fair Trade, which I will hopefully be able to share in the first quarter of 2015.